modern day drug movies are not like they used to be. All the film makers of the new one act like there's have more character and things to relate to. and that may be true. but that doesn't seem to make a better movie. This movie works at the begining but kinda falls apart at the end. Also I found Seth Rogens character to be annoying after a while. I like James Franco, he was alot of fun in it. Also seeing Rosie Perez again was nice. 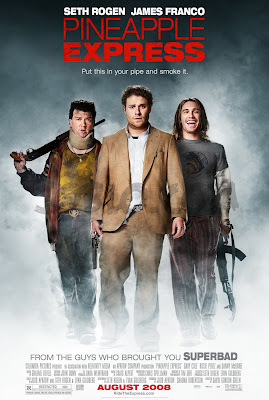 I don't think this is up there with other modern day kinda stoner movies. I would recomend you see harold and kumar or shaun of the dead or hot fuzz all which would be more fun then this movie. sorry seth rogan but it was kinda fun it just didn't work out in the end.